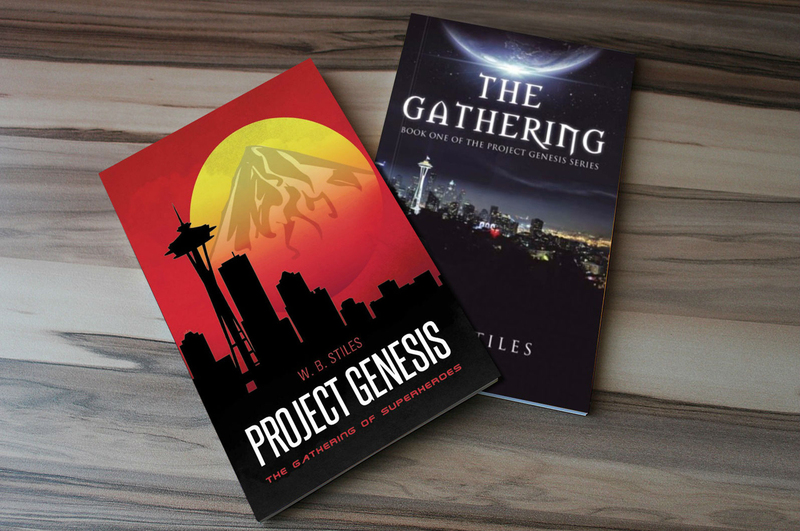 It is my endeavor to have a series of books about the world of the Gathering which I wrote about in The Gathering: Book One of the Project Genesis Series. 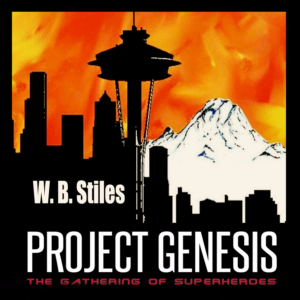 The new release Project Genesis: The Gathering Of Superheroes is the same story but with new material and an extra chapter for clarification of the narrative of the series called the Project Genesis Series. The title was changed to reflect the series itself and the continuing story. 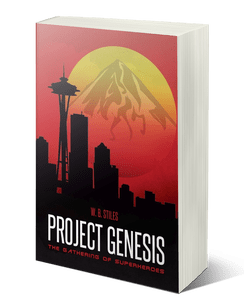 Takes place in the great Northwest near Seattle and involves the volcano at Mount Rainier. This is a contemporary look a group of superheroes in today’s society. Set in today’s world it is an action adventure in a unique setting. What if you could see into the other dimensions and react to the supernatural? Each novel is a complete work in itself but points to a greater picture of a world where there are no boundaries and all things are possible. We as humans are restricted by our own imagination because we have grown up believing that all that exists can be seen and proven in this world but there is in fact much more to the existence and many dimensions we can’t see but none the less are real. 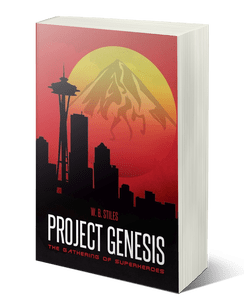 The Project Genesis Series will explore the possibilities and this page will update you on the new editions of the story as they are released. We will have eBooks and audiobooks now and more to come, so come back often for updates or subscribe. 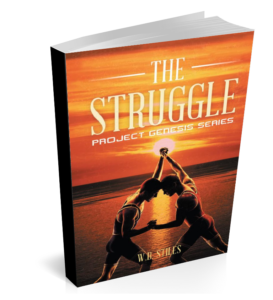 Links to Book Reviews will be posted here for your reading also. Online eBOOK and Audiobook: Just $2.99 – First 10 every day Use Promo Code: 2buck10 – for $2.00 price. Audiobook half price for limited time. NEW AUDIOBOOK now available from most major distributors. 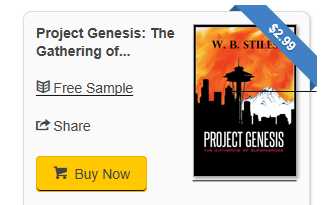 Get for Half Price this non exclusive Audiobook for Apple devices or Android devices. Regular $9.99 now for a limited time $4.99 For installation instructions and availability in other distribution services click HERE.